Description: 2.5-4 in. 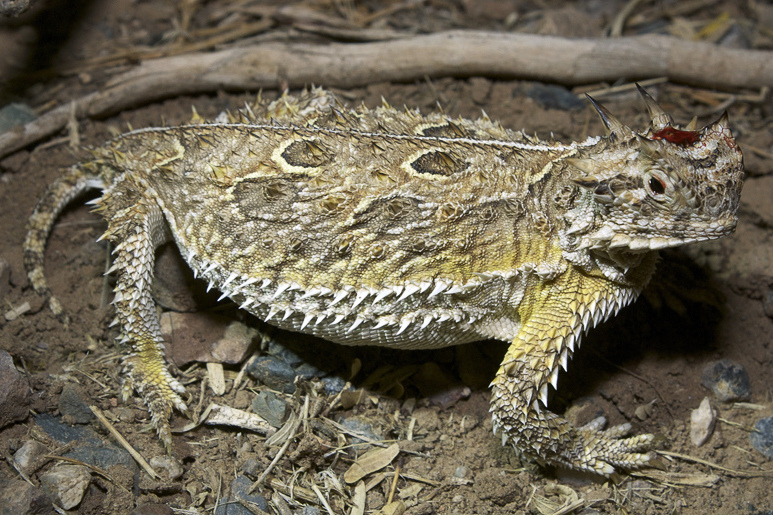 (6.4-10 cm) Texas horned lizards have two central head spines which are much longer than any of the others, two rows of fringe scales on each side of the abdomen, and gray or brown coloration. They also have a round, flat body shape. Feeding/Diet: Horned lizards feed almost exclusively on ants. 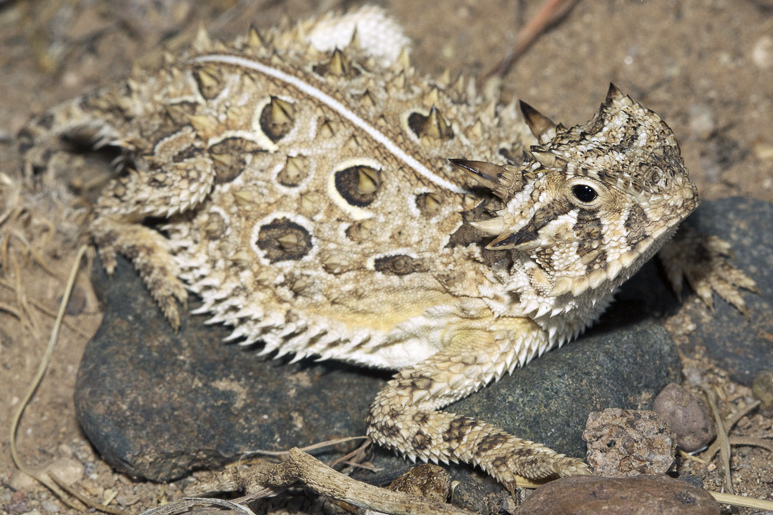 Habitat/Range: Native to the western United States, the Texas horned lizard was introduced as a result of the pet trade, and is only found in a few scattered locations in the southeastern Coastal Plain. They are usually found in sandy habitats, particularly on sand dunes. 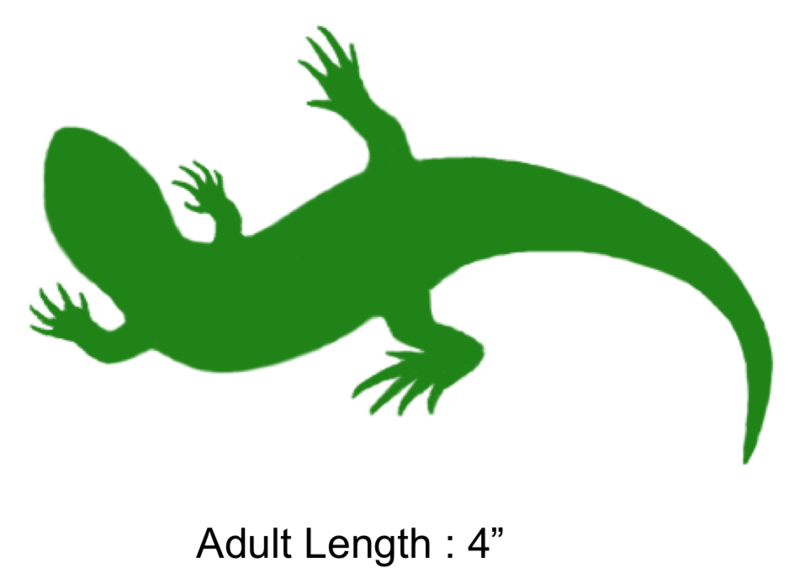 Reproduction: Clutch sizes typically number from 14 to 37 eggs. Not much else is known about the reproductive status of the Texas horned lizard in North Carolina since it is a recently introduced species, but the one known North Carolina colony is being closely monitored by Lawrence Settle. 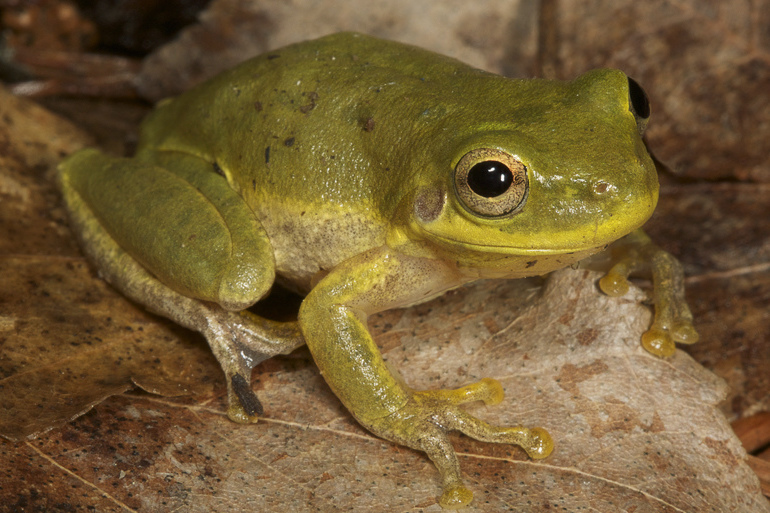 Miscellaneous: This species is most active in very hot weather. Although they can run relatively fast, the horned lizard’s best defense is to lie still, often partially buried in sand, and rely on their amazing camouflage for protection. When threatened by a potential predator, a Texas horned lizard sometimes squirts blood from its eyes, confusing the predator. The shaded region represents the range of the Texas Horned Lizard in North Carolina.